Address: The Pigeon Club Pottery, Torridge Hill, Bideford, EX39 2BB. Vicky Lindo and Bill Brookes set up the Pigeon Club Pottery in 2013, they make illustrated decorative ceramics. Cats feature quite frequently as well as birds, horses and the odd bear. 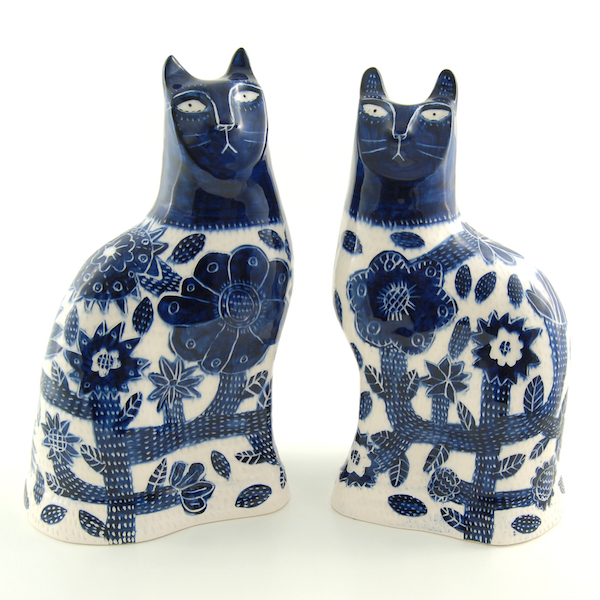 They are inspired by Bideford’s Slipware pottery heritage, folk lore and the secret lives of cats.